The Home Buyers' Pressure Group is a TRNC organisation devoted to assisting overseas purchasers of property in the TRNC who have experienced problems with builders, estate agents and solicitors. The list was apparently published on the HBPG website during June 2007. By August it was removed from the website. Aknar Construction, Ali Kayim, Altinkaya/Dusen Homes, Andelip, Anglo Cyprus Homes, Armacon, Beydola, Bülent Unar, Califorian, Capstone Construction, Ca-Sa, Club Hermes, Dennis Davutogloni, Gilgamis, Hasan Mesutoglu, HDB - Dervis Babayigit, High View Homes, John Torris Planters Construction Ltd, Imperial Construction, Kulaksiz Construction, Kyerson Homes, Medview Homes, Mehmet Yamaci, Mustafa Nalbantoglu, MysYesiltepe, North Cyprus Properties Ltd (NCP), NE-SA Insaat ve Yatirim Ltd, Oray Construction, Osman Arikan, Ozyalçin Construction, Resat Altinör, Santa Fe, Semsi Kazim Erkman Ltd, Sercem / Anglo Cyprus Homes, Sydney Construction, Türer Construction, Tütüska Construction, Victorian Homes, Uz & Bay Investments ve Zhutu Chumiligil. 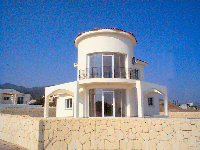 The above is quite a comprehensive list of builders and property developers in North Cyprus. An equally interesting, and shorter, list would be that of those builders who have not been named and shamed by the HBPG. The publication of this list has aroused controversy. The HBPG has made an admission that the following four companies were added in error - High View Homes, Resat Altinor, Sercem and Sydney Construction. The owner of Medview Homes, Mr Ali Osmen Safa, has threatened to sue for defamation. Mr Safa is an influential person in TRNC and also owns the Kibris Star newspaper. The outrage which has arisen from this list is understandable. It would appear that HBPG simply published the list without inviting the named companies to comment on any adverse comments or complaints. As such the claim that HBPG set itself up as 'judge and jury' would appear to have validity. 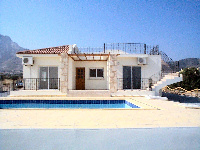 Describing the majority of builders in North Cyprus as disreputable would appear to be an exaggeration. There are several builders on the list who have developed a reputation for quality workmanship and professional business ethics. There are however, other builders on the list who are a blight on the landscape. It is this latter group who are the problem. Due to the cost and protracted nature of litigation in the TRNC, very few cases of blatant misconduct seem to reach a satisfactory conclusion. the plight of many property buyers who have been let down by builders, estate agents and lawyers. Hanging over these tribulations is the spectre of Gary Robb and Aga Developments. The unresolved problems of multiple sales of the same property, unfinished homes, and no title deeds continue to haunt the purchasers of Aga properties at Amaranta Valley and elsewhere. If this longstanding scandal could be brought to a satisfactory conclusion, the credibility of all TRNC builders would be boosted.